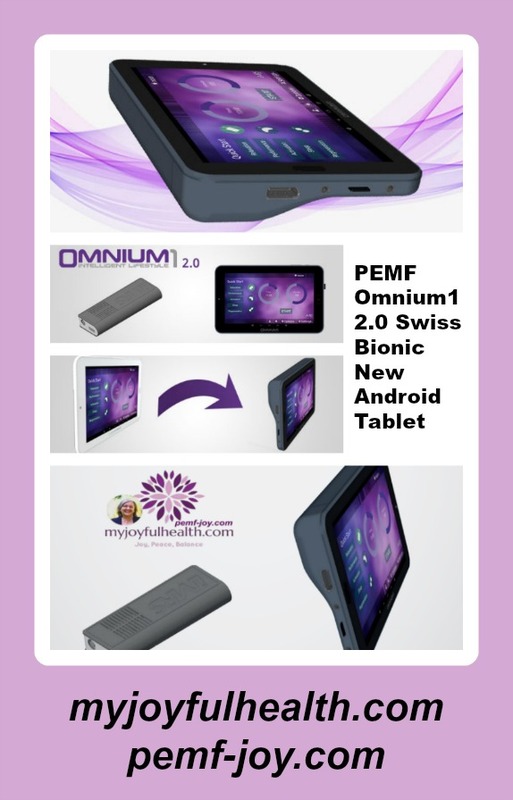 PEMF Omnium1 Swiss Bionic New Android Tablet New PEMF Omnium1 2.0 November 2018: 2.0 Version available in USA and Canada and worldwide. Wolfgang Jaksch, Founder of Swiss Bionic, has introduced the New Omnium1 2.0. Shipments from Switzerland to Florida, USA, and Ontario, Canada will be arriving in early November 2018. Launch of the redesigned Omnium1 system, Omnium1 2.0, PEMF To Go – November 2018. Newly Designed Tablet shape with a separately accessible battery pack compartment. Power Pack, containing 4 x 3.7 V 18650 lithium-ion batteries (very reliable and stable, same batteries as used in Tesla Cars)! Built-in intelligence for external power management within battery pack, no more electrical interference with the internal circuit boards of the tablet = highly reliable functionality! Battery Pack can be exchanged by oneself = simple maintenance, no need to send in the tablet! Easier shipping worldwide, as lithium-ion battery packs can be shipped separately and do not fall under the Global Safety Transportation Act for hazardous power packes = more flexibility in shipping and less logistic costs for Swiss Bionic Solutions! Newly designed housing with additional aluminum cuff (also serves as a perfect layer for better heat absorption = longer application duration with high intensities without overheating! New colors = Space Grey and Brushed Aluminum! Optional adapter available, which can be attached directly to the D/A Converter = enables connection of all three applications permanently and individual selection prior to usage! Swiss Bionic is #1 in the World, with 2.0 Million users and 8,000 Reps worldwide. They have been in business for 24 years. PEMF Buy Omnium1 Mat Today!